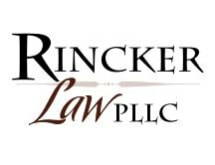 Dedicated to helping their clients resolve their disputes and find solutions as efficiently and amicably as possible, Rincker Law in Champaign, Illinois, offers quality mediation services and effective representation in a variety of practice areas related to food, farm and family. A qualified mediator and official guardian ad litem for Illinois' 6th Circuit, Ms. Rincker devotes her efforts protecting the rights and interests of those she serves while helping them settle their conflicts and reach agreements that work for everyone involved. Staffed by a team of personable and dedicated associates and support staff, Rincker Law has earned a reputation for delivering the personalized attention their clients deserve while helping them obtain the positive results they seek. Fostering an environment of positivity and exceptional customer service, the law firm's professionals strive to take as much stress out of the legal process as possible. After analyzing your situation, they will offer the solid, dependable advice you need to make the best decisions about your case, and they will remain by your side until the end to ensure the best odds of you achieving your specific needs and goals. To schedule an initial consultation about your case, you can contact the law office of Rincker Law or visit their website to set up an appointment.